Is there a decision in life that is more nerve-wracking than choosing which house to buy? You know it’s a major financial decision, and any reasonable person wants to ensure they’re making the right choice before jumping in. But how can you tell when you’ve found “the one”? We’ll lay it out for you. One of the most important things to remember when buying a home is to buy what you can afford. Nothing is more heartbreaking than not being able to make your monthly payments. You’ll know you’ve found the right house when it fits easily within your budget. Once you find a house you love, consider its location. Remember – you’re not just buying the house, but you’re also buying the neighborhood. 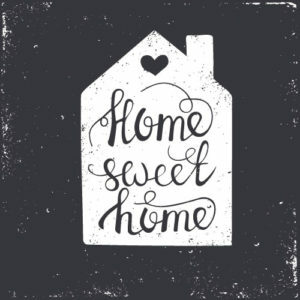 If you visit the home and find a lot to love about the location, then that’s a great sign. It’s easier than ever to begin your house-hunting search online. You can learn so much about what’s on the market, browse listings, and get to know a neighborhood. You’ll probably discover that there are a few houses that you really want to see in person, and maybe one or two in particular that really interest you. Pay attention to which houses call out to you. So many homeowners have admitted that they knew a house was meant to be theirs the moment they stepped inside. When you walk inside a home, how does it make you feel? Is it warm and inviting? Is it easy to imagine your furniture there, or what color you’d paint each room? Here’s a great gauge to know if a house is right for you – can you walk into the bathroom? If you find that you just can’t bring yourself to cross the threshold into the bathroom, it is probably not the right house, unless you’re committed to major renovations. While the house might not (and probably won’t) check off every item on your wish list, it will certainly fulfill your basic needs. The house should have the number of bedrooms you need and any other additional space that’s important. It might require a little imagination or creativity on your part, but that’s okay. Do you find it difficult to get the house out of your mind? Are you telling everyone you talk to about it? It’s starting to become crystal clear that this is the house for you. Ultimately, you can crunch the numbers and double-check your lists, but it will all boil down to your intuition. What does your gut tell you? If your mind is obsessing over the house, your emotions are in overdrive, and your gut is telling you this is the one, listen. Choosing a home isn’t just about making a financial transaction. It’s also about making a connection. You’ll know “this is it” when your gut tells you.